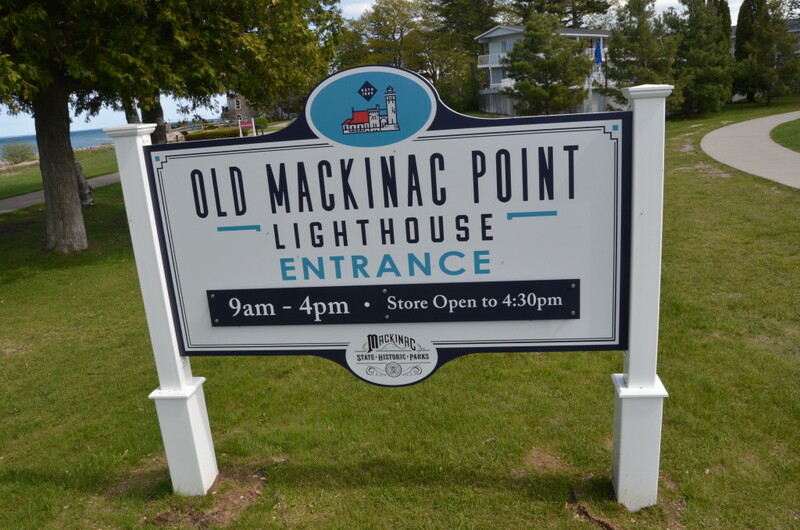 Few Michigan lighthouses are visited by as many people each year as the Old Mackinac Point Lighthouse, a castle-like brick structure that is located next to Fort Michilimackinac and the Mackinac Bridge. 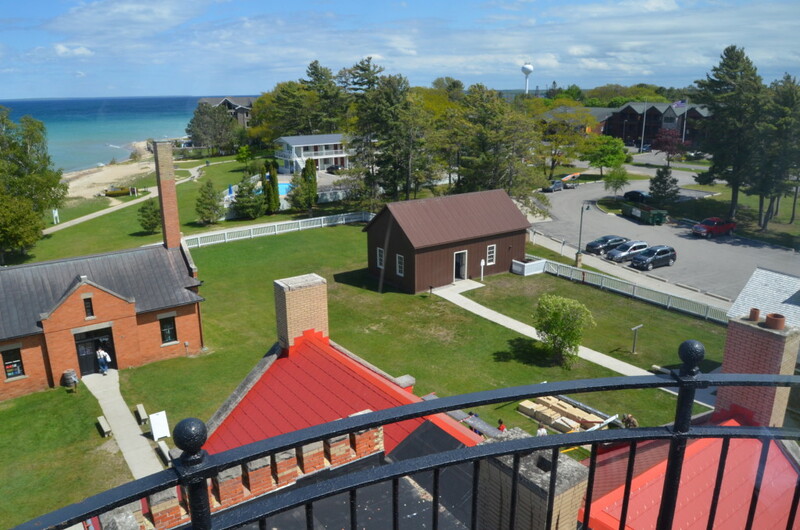 This 1890s lighthouse is open for tours during the warmer months each year, giving guests a look at what life was like here when the lighthouse was operational and offering amazing views from the top of the tower. 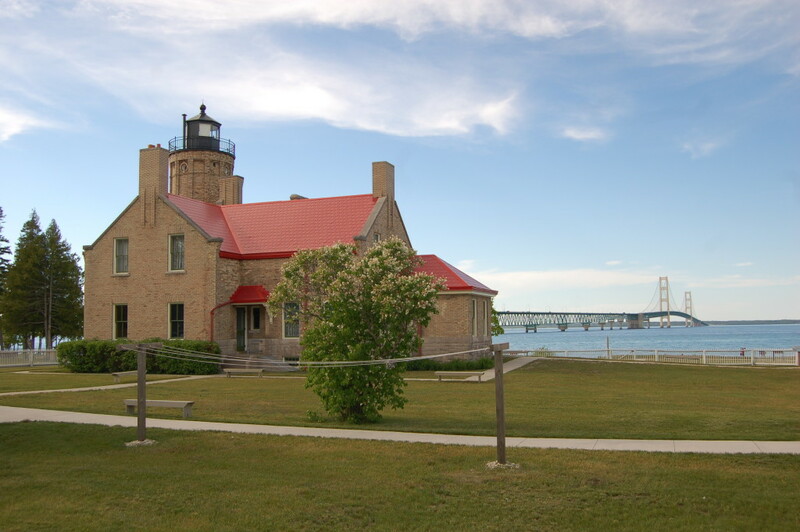 The Old Mackinac Point Lighthouse is one of Mackinaw City’s best-known landmarks, and while there is a fee associated with touring the museum and outbuildings, it is free to visit the grounds any time of year. 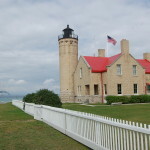 The Old Mackinac Point Lighthouse is one of many beacons that served in the Straits of Mackinac. 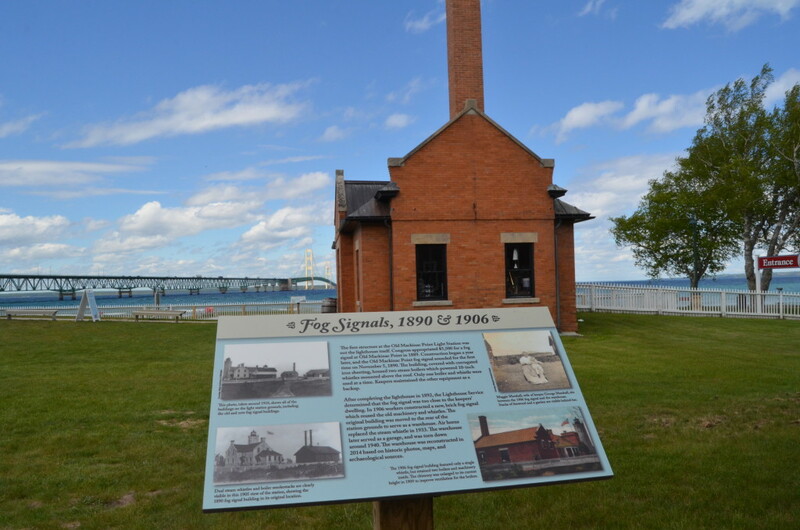 A fog signal was first constructed at this location before the lighthouse was built and put into service in 1892. 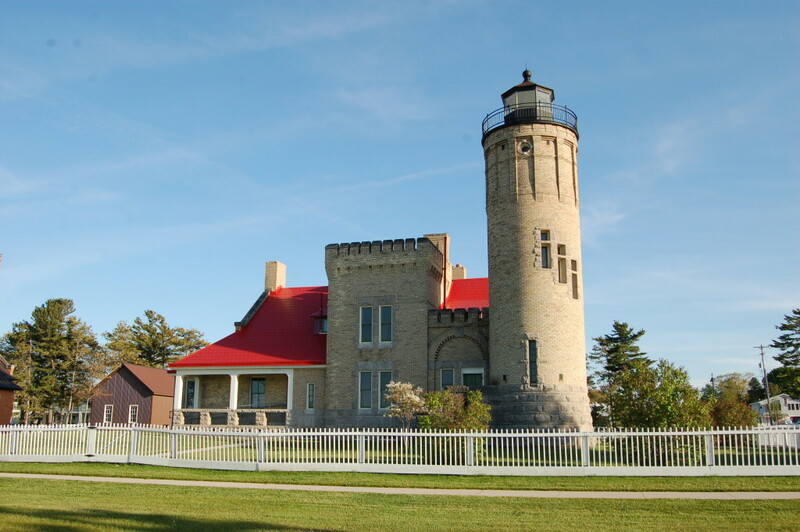 The lighthouse is popular for its design, which resembles a castle. 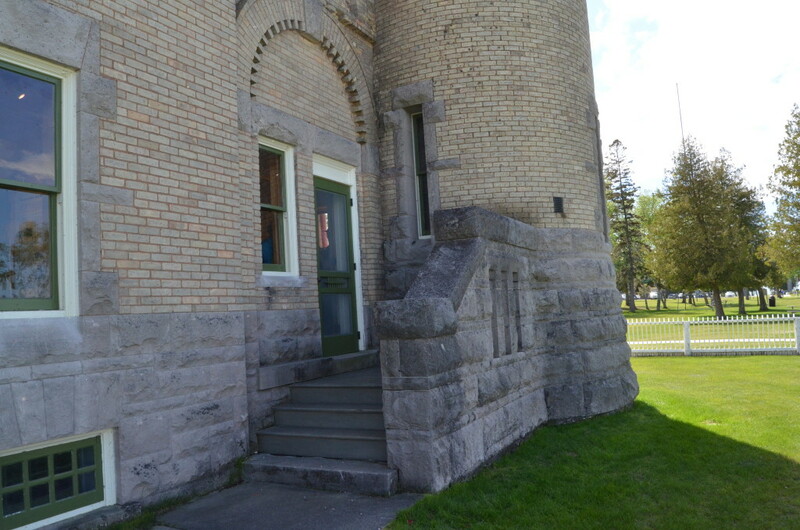 It is constructed of Cream City brick and its tower stands 50 feet tall. 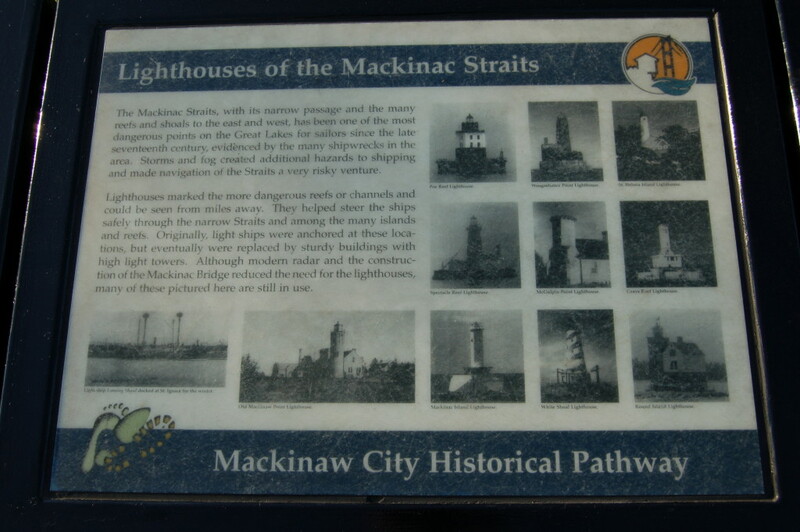 This lighthouse served from 1892 until 1957, when the completion of the Mackinac Bridge made it unnecessary. 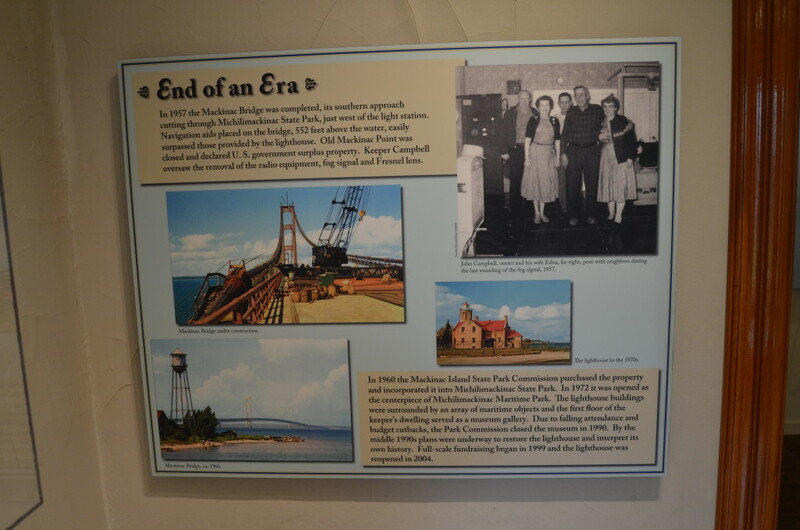 Extensive preservation work over the years has made this a fun and informative stop for all ages. 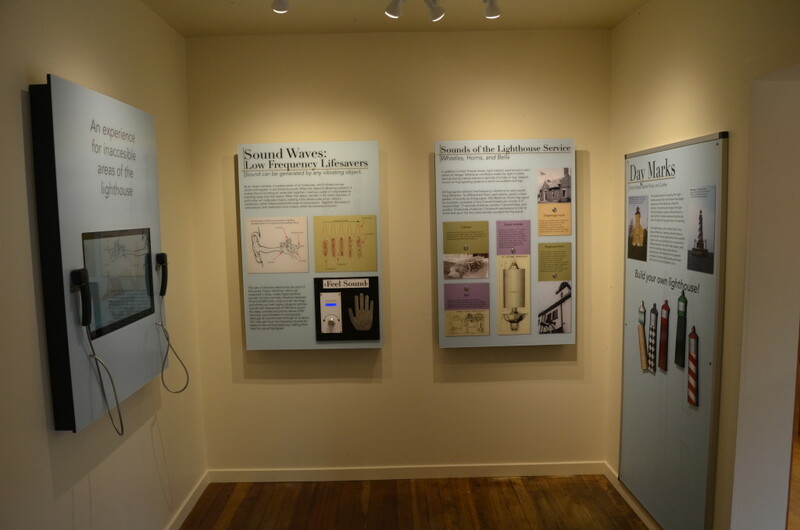 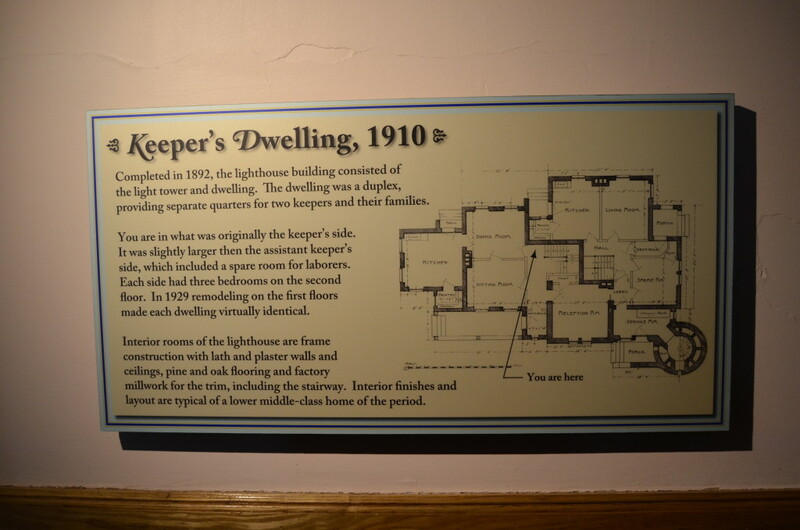 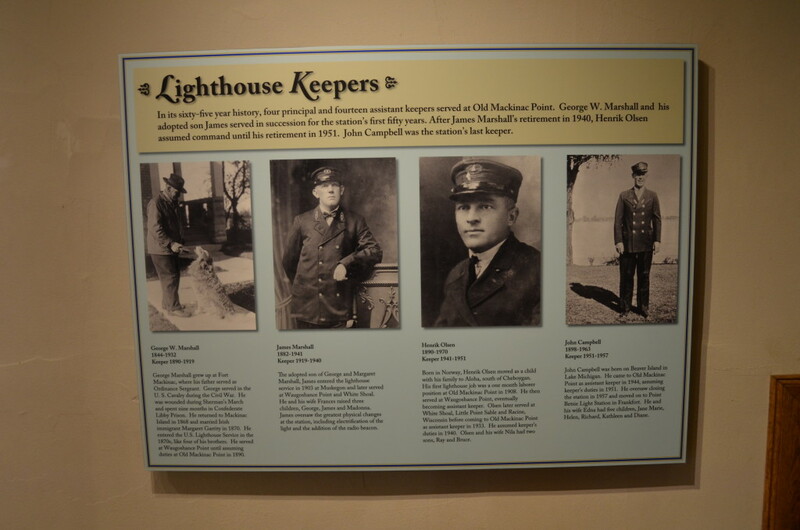 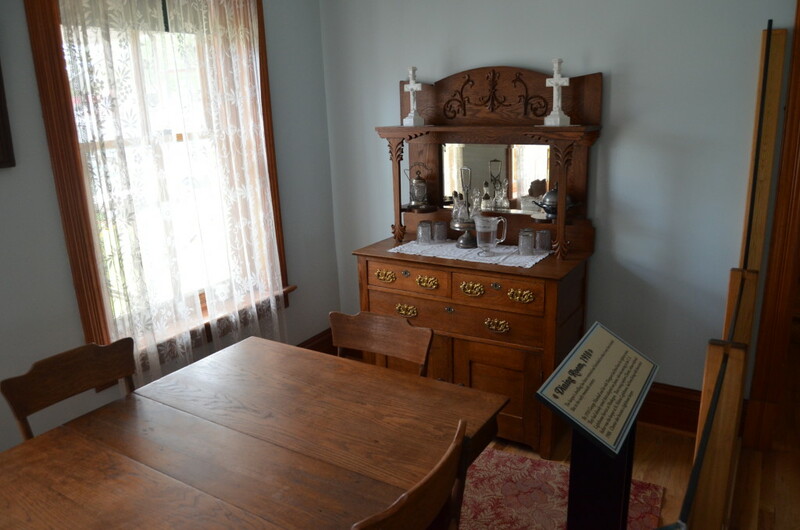 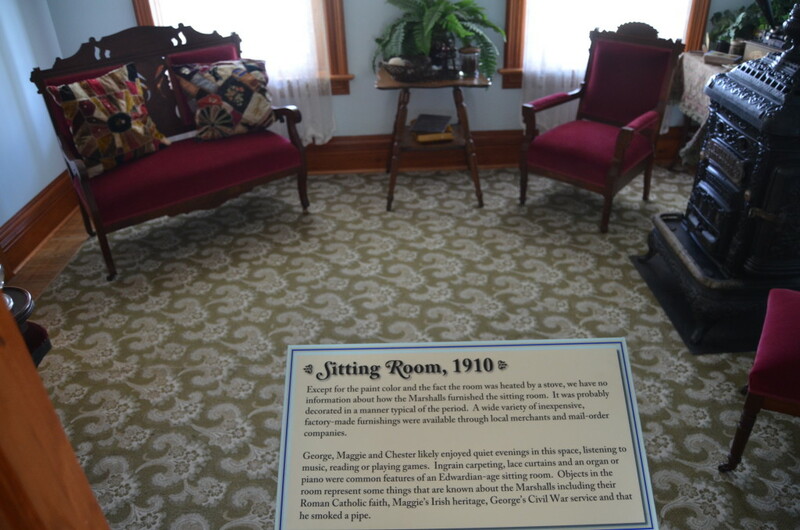 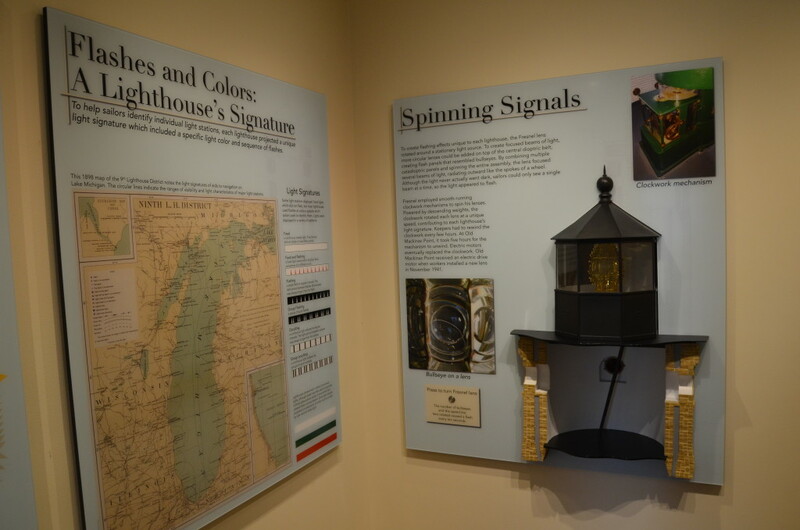 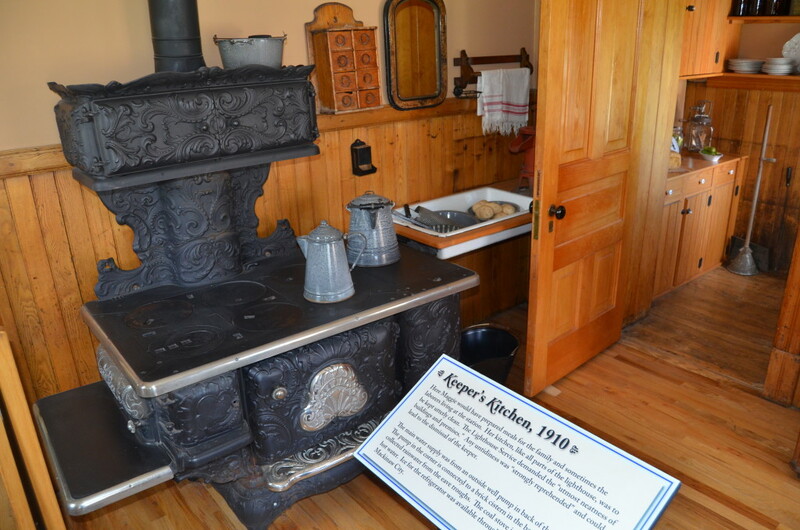 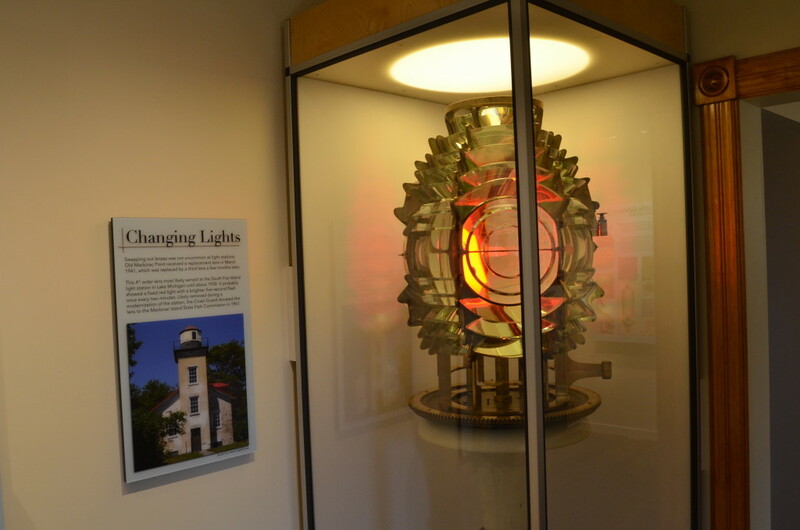 Exhibits in the keeper’s quarters show how the lighthouse would have been furnished during its operational years and why this light was so important to shipping. 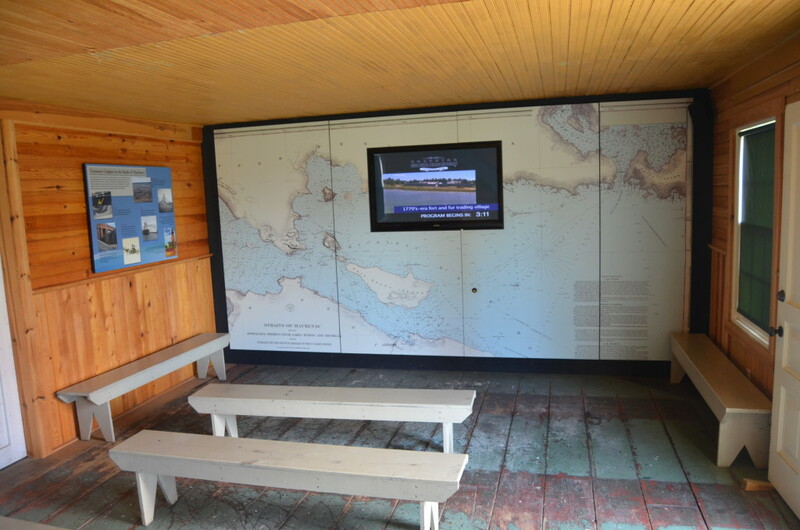 In the barn behind the lighthouse, a movie on Shipwrecks of the Straits plays. 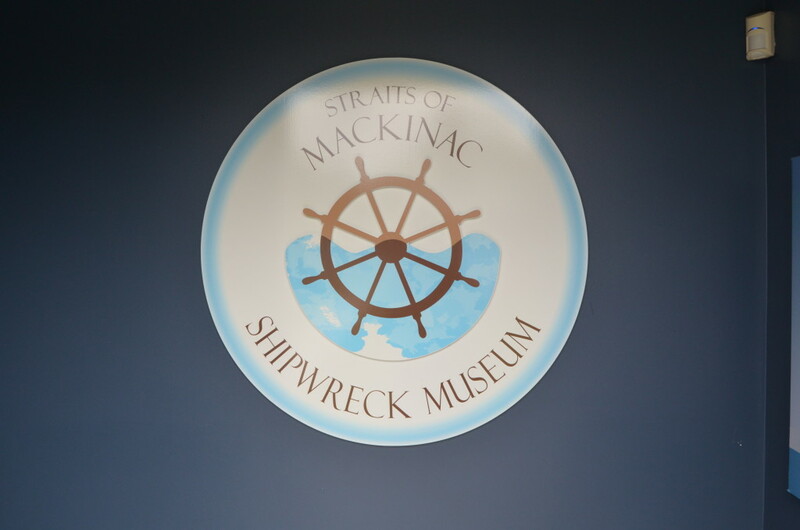 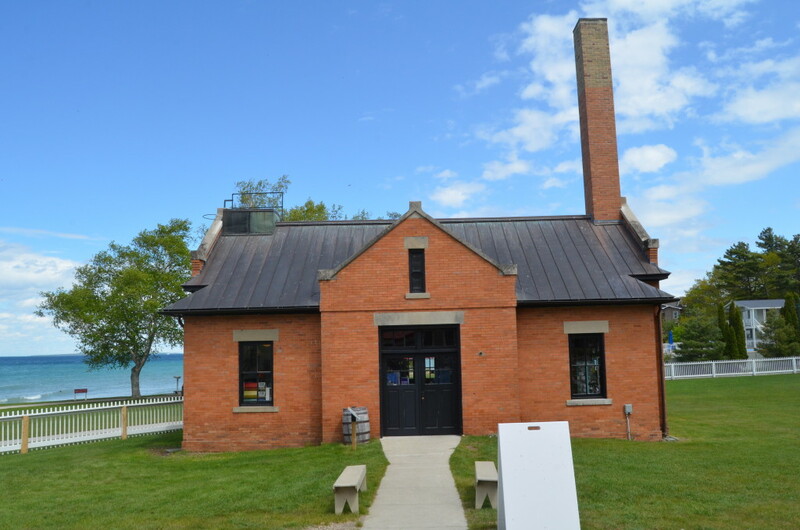 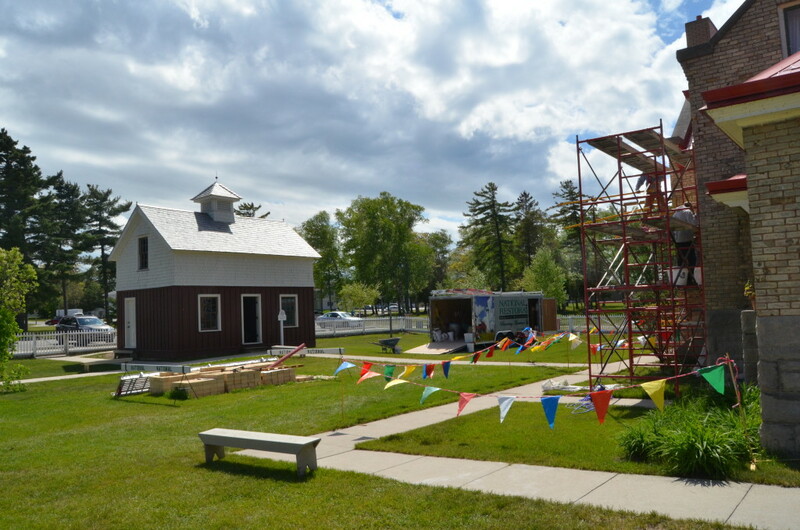 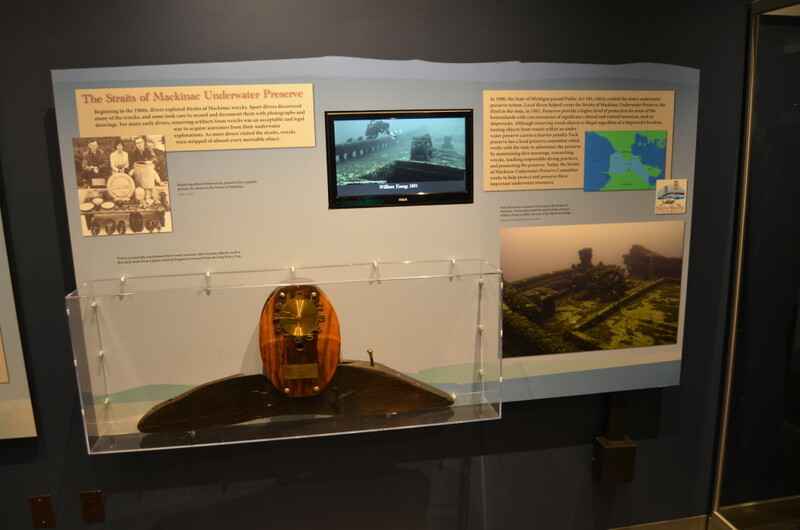 The fog signal building has been converted to the admissions center and gift shop, and a warehouse building houses the Straits of Mackinac Shipwreck Museum. 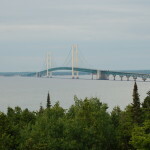 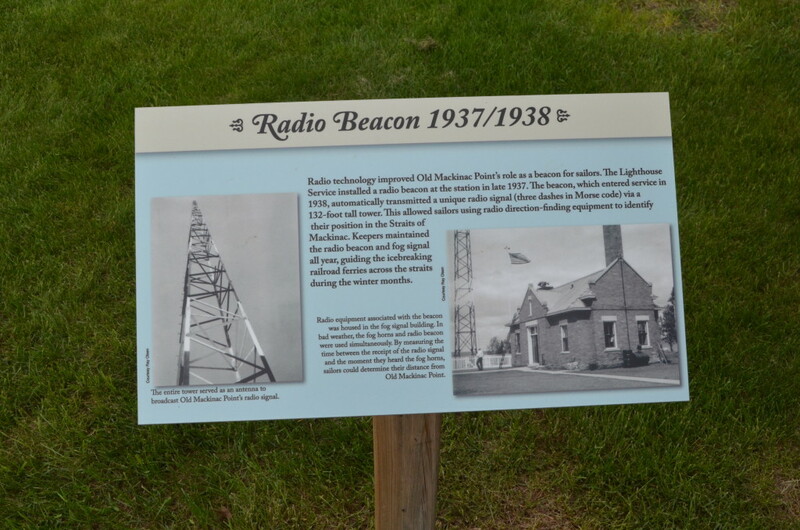 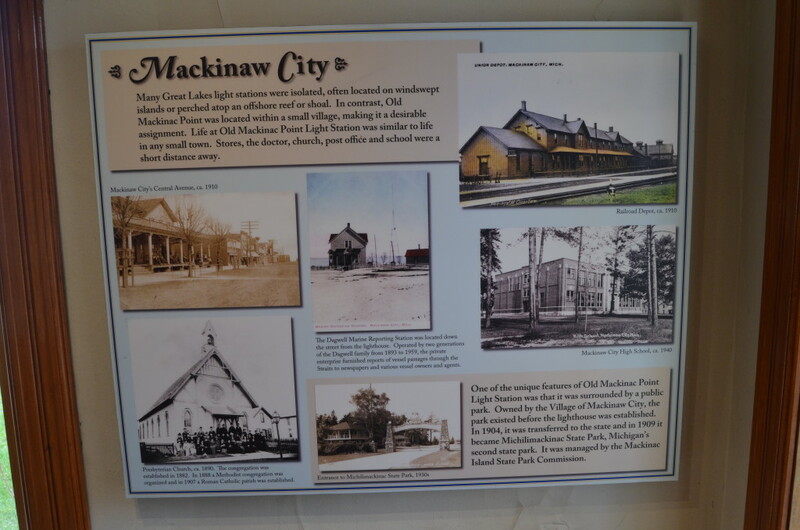 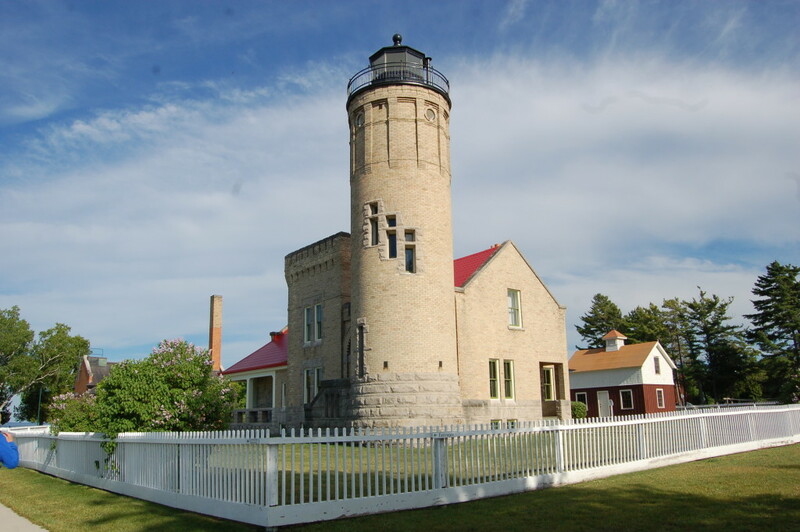 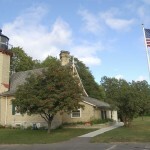 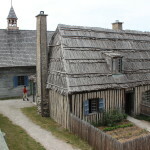 In addition to the Old Mackinac Point Lighthouse, there are five other sites in the area that are ran by Mackinac State Historic Parks: Fort Mackinac on Mackinac Island, Mackinac Island State Park, Historic Mill Creek Discovery Park, Colonial Michilimackinac, and the Richard and Jane Manoogian Art Museum on Mackinac Island. 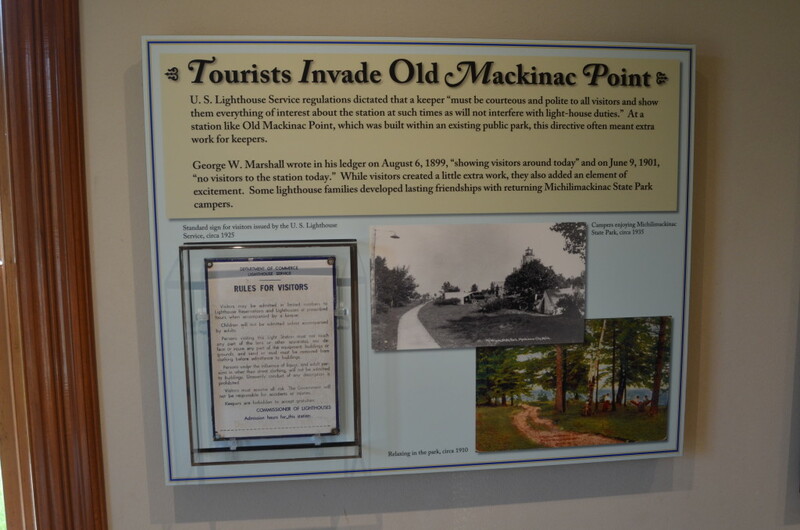 Find out more at https://www.mackinacparks.com. 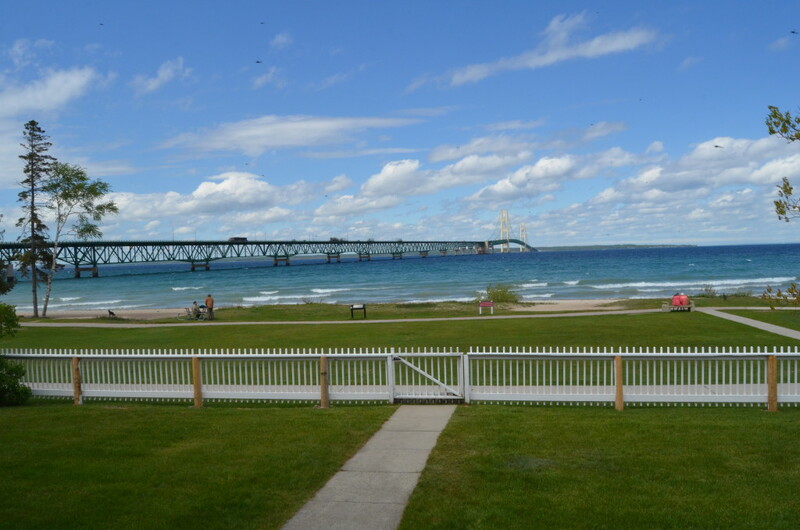 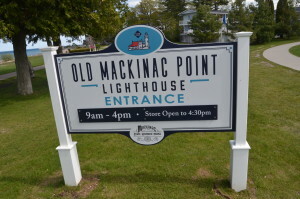 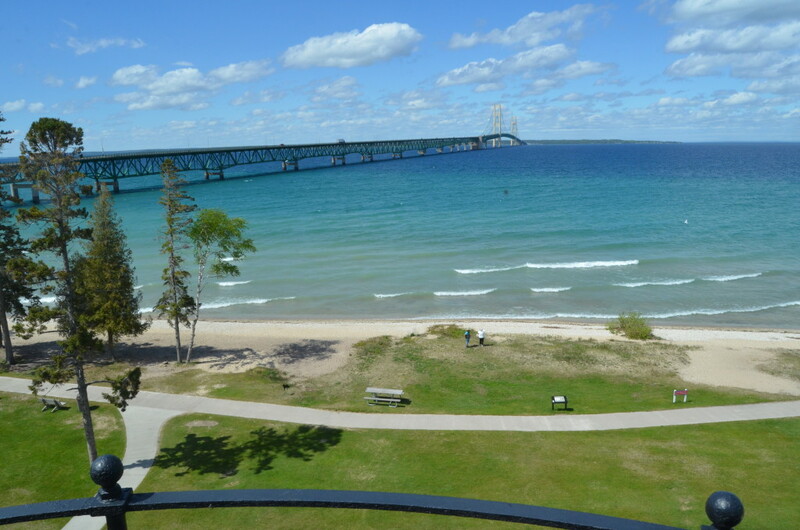 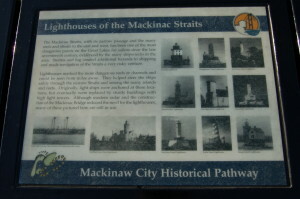 The Icebreaker Mackinaw Maritime Museum is only a mile away, and McGulpin Point Lighthouse is three miles to the west. 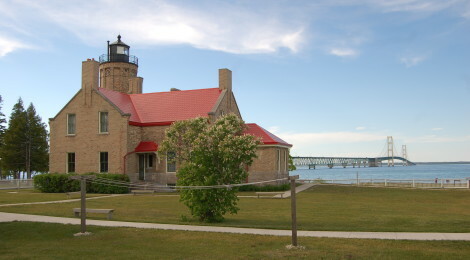 Round Island Lighthouse and the Round Island Passage Light can be viewed from the shore here at the Old Mackinac Point Lighthouse. 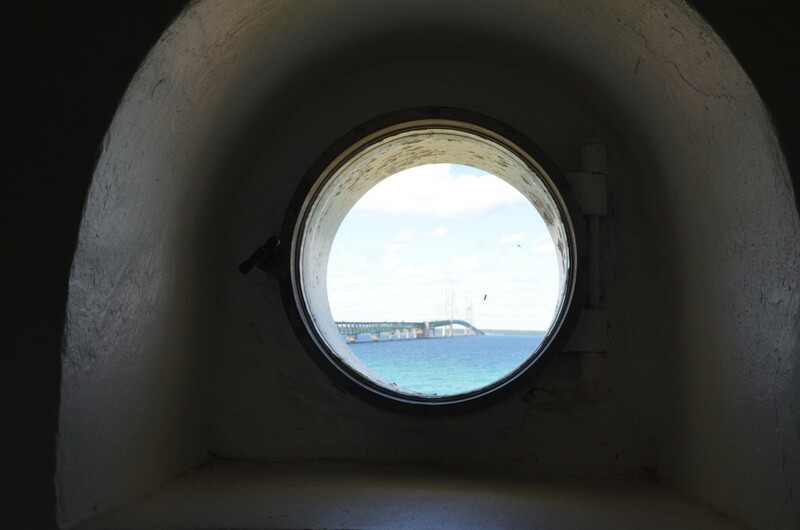 Enjoy these pictures from our summer 2018 tour!